Chris Carter is a combat-hardened veteran who’s battled his demons – both within and without. As he struggles to understand his true identity, destiny is far from done with him. Governor Thomas Gage has ascended to the Presidency, but almost immediately things have gone very wrong. The Chief of Staff is calling for help, knowing that Carter’s special powers may be the only thing able to stop the evil plans unfolding in Washington. 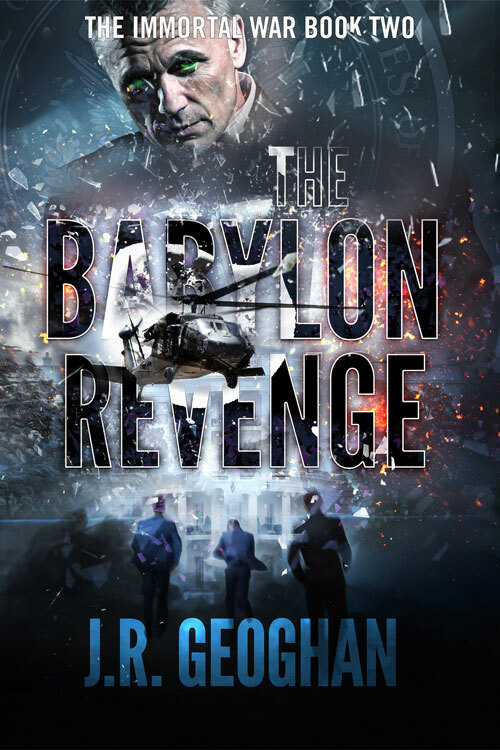 But it might just be too late as powerful forces from the past seek to exact their revenge. Now, he must face down his greatest enemy and overcome the gnawing doubts about who he really is…not to mention surviving to protect the people he’s grown to care about. From the halls of power in the White House to the air over Israel, reuniting with old allies and making new ones, Carter must decide who to trust as he rushes to head off the unthinkable. He will need all the help he can get to outwit the ancient hatred bent on unleashing Hell on earth.